Last week, Kelsey (kjansy) was our featured Poshmark user on the Posh Spotlight. Kelsey has seen quite a bit of success on the Poshmark selling platform, and treats her closet like a serious business. Utilizing her industry knowledge, she has developed key strategies for selling on Poshmark. 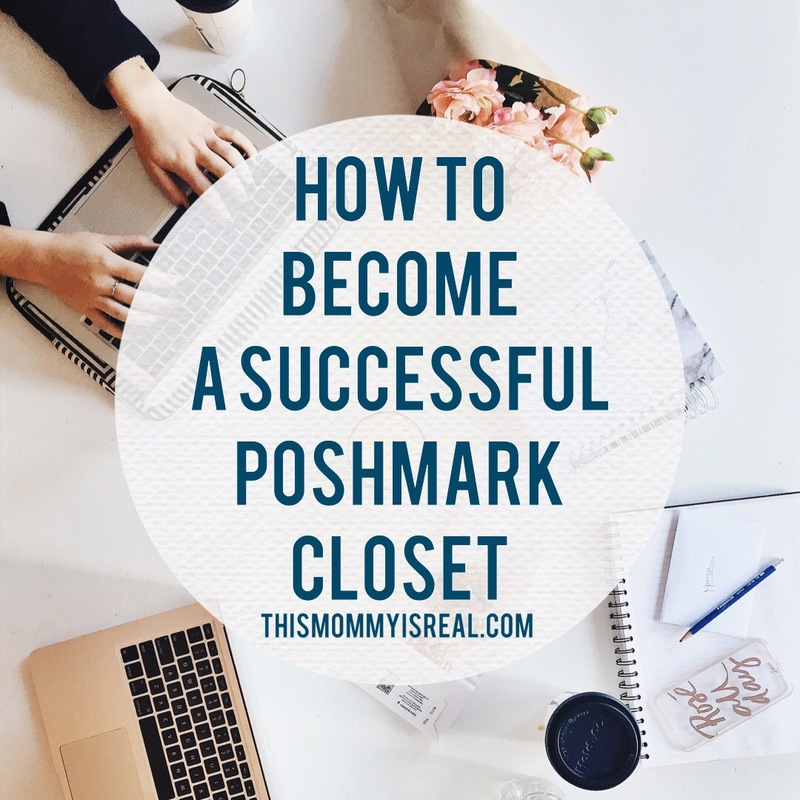 Let’s take a look on her strategies on managing a successful Poshmark closet! Basics and fashion staples that she calls “evergreen styles”. These are items that are always needed and wanted. She takes into consideration seasonality, weather changes so that her stock matches the season. She researches potential profit before purchasing an unfamiliar or new item. This is done by reviewing comparative listings. She finds unique one of a kind items that are also in demand/popular. She also visits the California Market Center, Cooper Building, etc. where all major department store buyers go during market week etc. This can help with what’s trending. Aging Inventory/ Inventory plans. She reviews aging inventory and determines viability. She looks at inventory at 30-60 days, 61-90 days, and 91+ days. Sell-through of her shopping trips. Dollar valuation on inventory that hasn’t sold or hasn’t been listed yet. What actions are required to to sell? Is there a need to re-list or take a new cover shot? Should it be moved to another selling platform? What are the performing skus? SEO allows content to be searchable via google and Pinterest. These are the top search engines. When people are searching, they are looking to buy. Within a few days, a Poshmark listing will show up in search. It’s important not to intentionally use the wrong keywords. Search engines will pick up on this and can exclude or ban users from search results. It’s important to understand where it goes and what categories have a faster turn rate? What is the story behind the inventory? Apply to be a suggested user or host a posh party. Gain more followers which leads to more shares and more sales. Think about what areas the items may sell. Consider the different climates, income levels and add people from cities where inventory may sell. Follow people who wear the sizes that you are selling. What sizes are you not selling? Lastly, follow new users who might need to use their first $5 off posh credit. Don’t share from your feed, share from categories Ex: Tops under Women’s listings. You want new eyes on your closet. Share from your closet then switch to sharing items from the women’s listings and repeat ( not your feed! You need fresh eyes!). The people who share your listings back as a thank you tend to share the first few items in your closet so if you keep changing the order of your listings, you’ll be able to have a variety of listings shared not just the top 4 etc. Add detail to packaging but don’t put a lot of money into packaging supplies. Kelsey utilizes wholesale bulk of white tissue, twine, kraft labels in the shape of a heart, which shes uses write a thank you message. You don’t have to be the best photographer:0; just get listings up. The cover photo can always be adjusted later. If it isn’t listed, it can’t sell. Make do with what you have for the time being. Sometimes artsy photos won’t provide buyers with an idea of what the item looks like or how it might fit. You don’t want to risk a return. Take all photos in advance. Take photos with the tape measure so you can refer to measurements later. Sit down, and write descriptions ahead of time so you can just upload the photos, then copy and paste the description. Take risks. Life is short. Don’t become complacent. Find out what you’re passionate about and GO FOR IT! Thank you Kelsey for a very detailed and useful guide on managing a successful Poshmark closet. It’s easy to see how lucrative these strategies are, and it seems that her Poshmark sales are increasing every month! Please visit her closet and take a look! Want to join Poshmark? Sign up and use my code HWUQL for $5 credit! My closet is jenn_sd. So interesting I have never heard of Poshmark before but now I am intrigued. I’ve heard of Poshmark but didn’t know much about it. Thanks for sharing, I always love learning about something new! Thanks for sharing. Ive never heard of this platform before. Wow, love this. Such a great resource! I got the email this morning that they’ve locked down speakers for PoshFest. Are you going? I wish I could, but wasn’t able to work it into my schedule ! How about you? Also, what’s your closet name ?